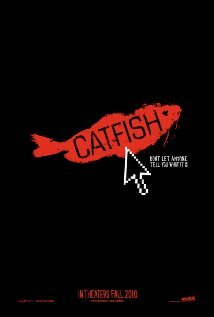 Ryan and I watched the movie Catfish last night. We were looking through lists of 'Must See Movies of 2010' and it was on a couple of the lists so we decided to go for it. We had no idea what it was about before we watched it. It was actually a very entertaining movie. I feel like I have seen Law & Order episodes with this as the premise. I told Ryan after it was done that I liked it, but it was too perfect to be a real documentary. He did some research (watched the 20/20 interviews and such) and come to find out it really was real. If you haven't seen it, I would suggest it.